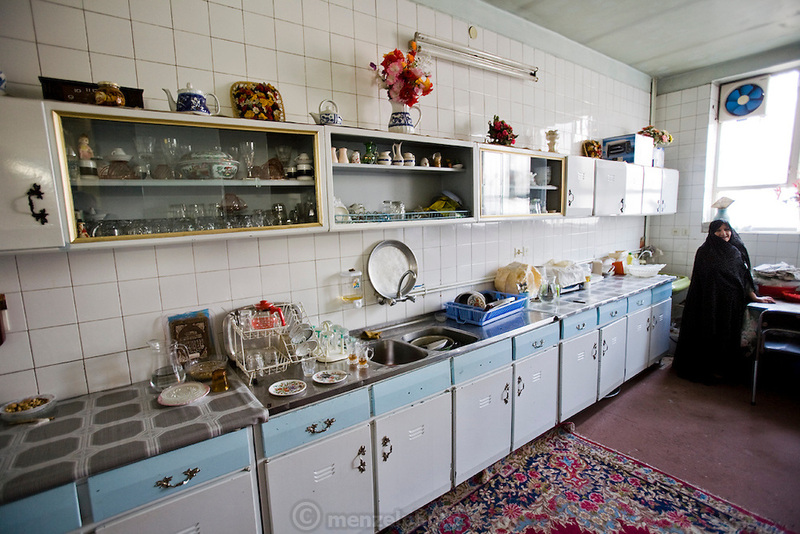 Minibus driver and part-time restaurant manager's Mohammad Riahi's mother in her kitchen in the city of Yazd, Iran. (Mohammad Riahi is one of the people interviewed for the book What I Eat: Around the World in 80 Diets.) Mohammed eats whatever he wants to eat at the restaurant, but at home he eats what his mother puts on the tablecloth on the floor in the middle of their living room. Many of their meals are vegetable and starch-based although they have lamb or chicken occasionally, and sheep's head soup on the weekend. As Muslims, they never eat pork.